French door refrigerators were originally three door refrigerators. Now there are four and even five drawer refrigerators that are also called French door refrigerators. They have one or more freezer sections on the bottom and a side by side style refrigerator section on top. 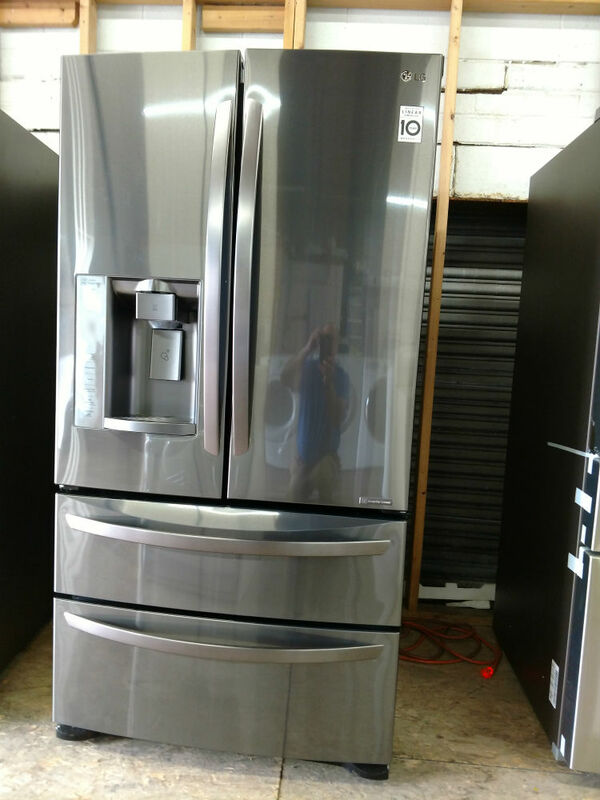 PG Used Appliances has a great selection of French door fridges and we hope you come visit us in Lanham, Maryland. The odd thing about the name is that a Side by Side refrigerator looks more like a French door than a French door refrigerator does. 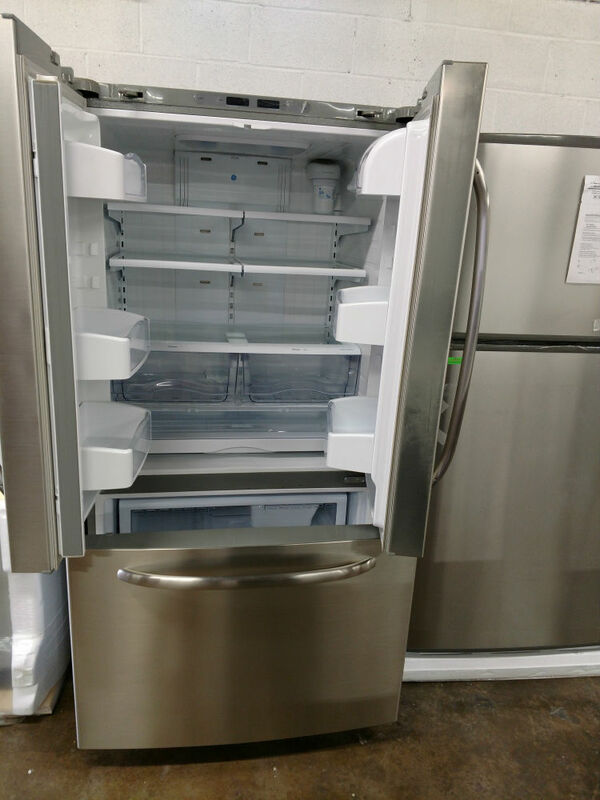 The side by side has a refrigerator section for one vertical door and a freezer section for the other vertical door. On the French door refrigerator, the two vertical doors at the top both open to part of the refrigerator section. There are different upsides and downsides to this type of fridge. French door refrigerators have a layout that many people like and they tend to be larger so there is more storage space. 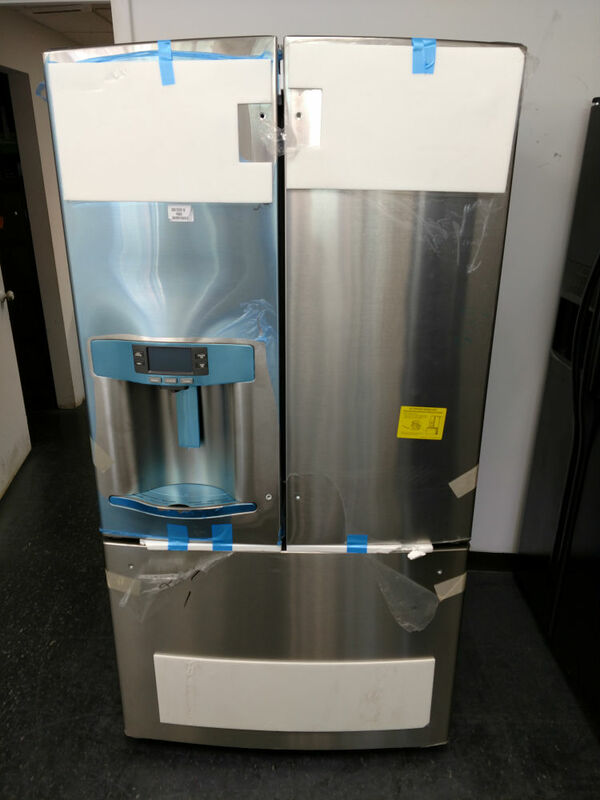 The refrigerator part is on top so it is easiest to access which makes sense since it is used the most. You don’t lose cooling as quickly since you can open one side or the other to get things. Also, there are typically larger bins in the doors since you don’t have to support a door the full width of the fridge. Most people like the options these larger bins in the doors give you. 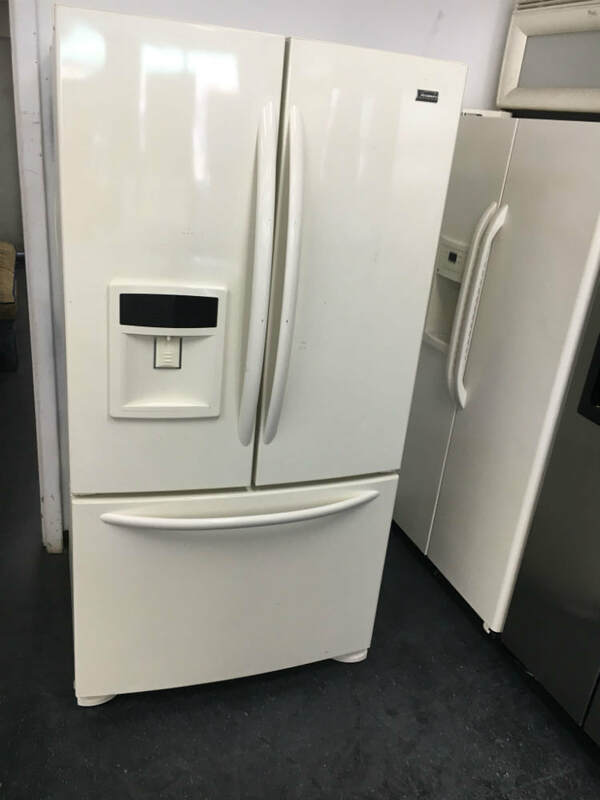 Between the partial width doors and the fact that most French door refridgerators are deeper than standard fridges, the doors are less likely to bang into something. People also like the ease of finding things in the one or two drawers of the pull out freezer section on the bottom. You could say that a negative is the cost since they tend to be more expensive than the two door refrigerators. If you have limited space this can be a problem since they tend to be larger. Even though they have more space because they are larger, it is felt that although convenient they are less space efficient. They also tend to be less energy efficient. Ice makers and water dispensers in the door is a common feature of French door refrigerators although not all have these features. 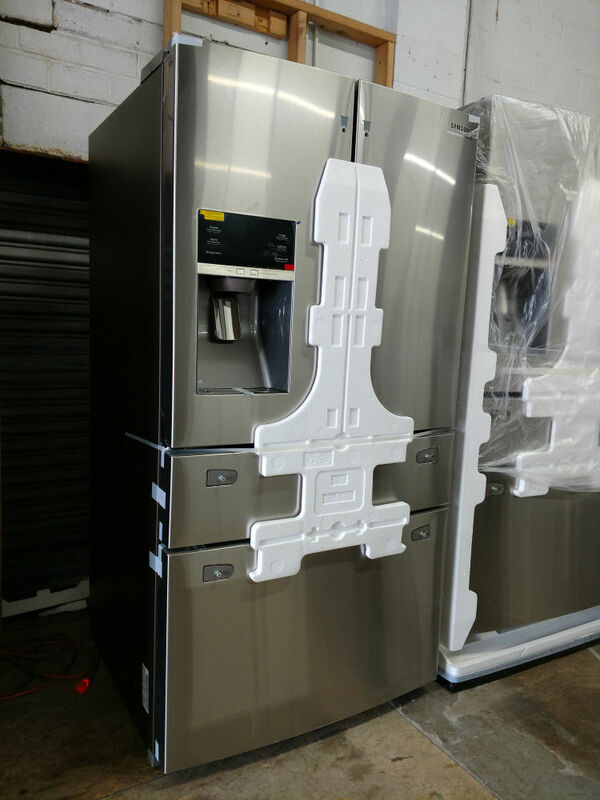 The most common finish is a stainless steel French door refrigerator but they are also available in white and black.